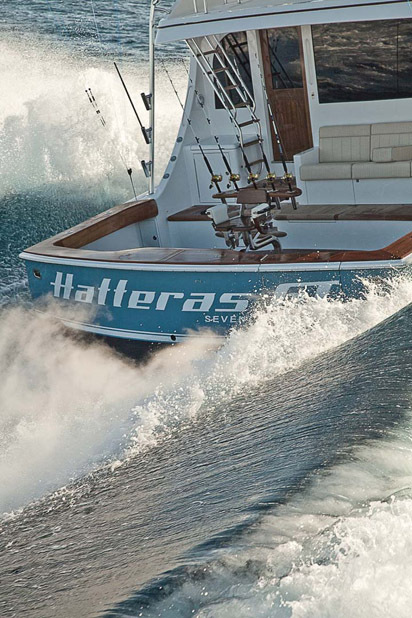 For the seasoned angler looking for a tournament-tested sportfish to do battle, the new Hatteras GT70 is perhaps the best weapon in all of the 70-foot class. 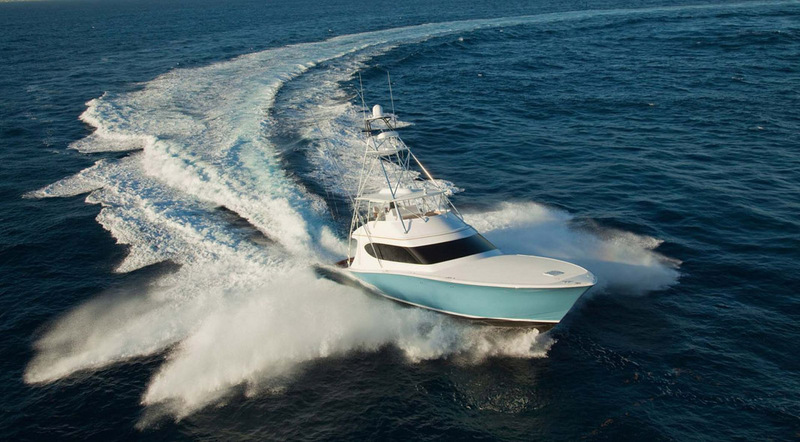 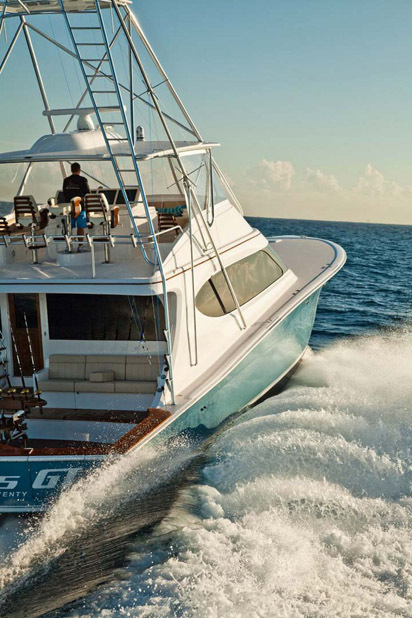 The GT70 is the biggest sportfish convertible Hatteras builds and is designed and engineered to perform in the toughest conditions. 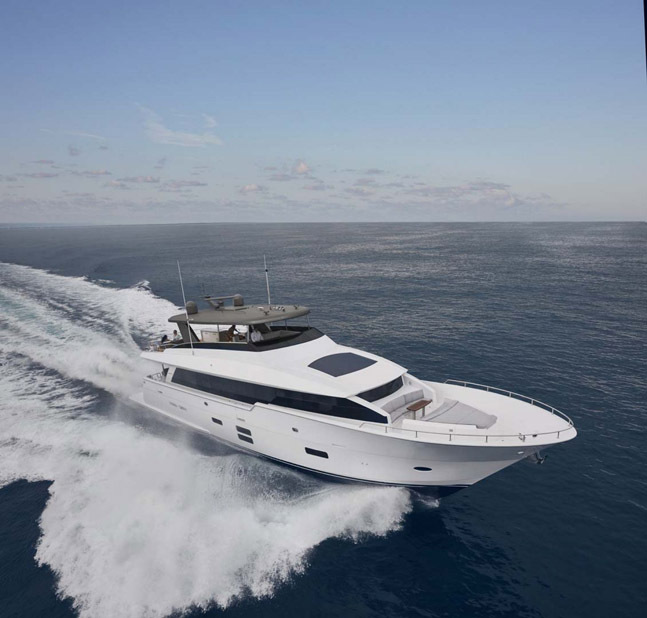 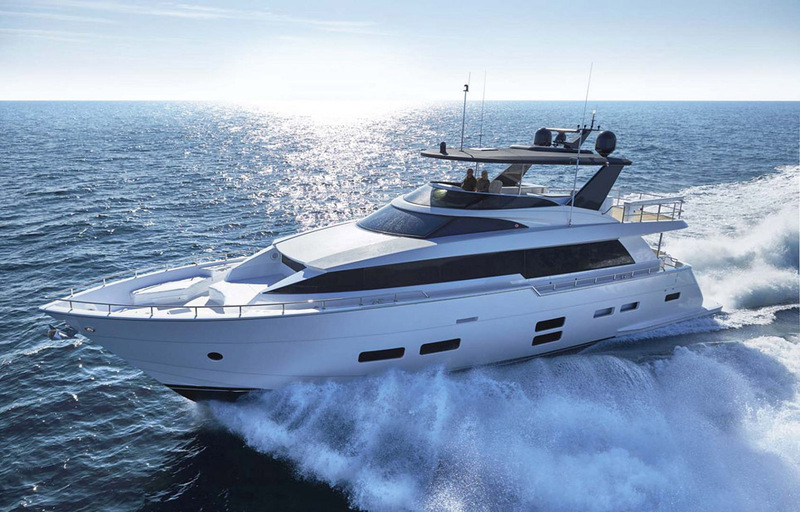 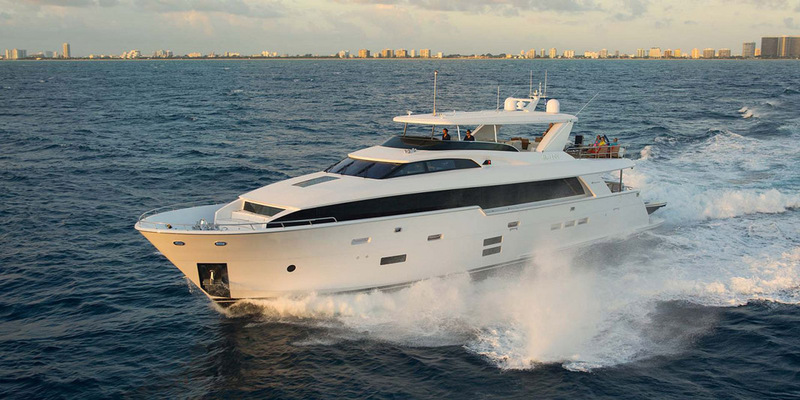 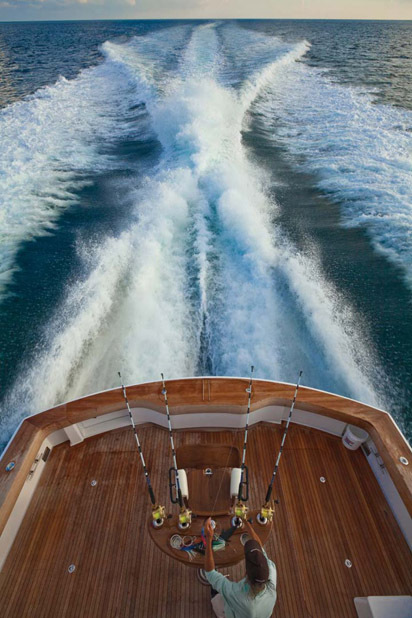 Demanding owners will find that the performance of the GT70 exceeds all expectations, yet the lavish interior is soft and inviting, reminiscent of Hatteras motor yachts. 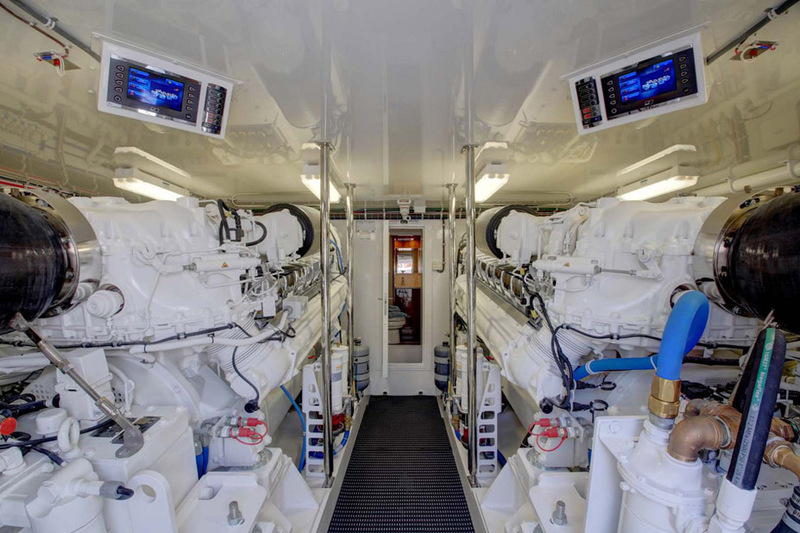 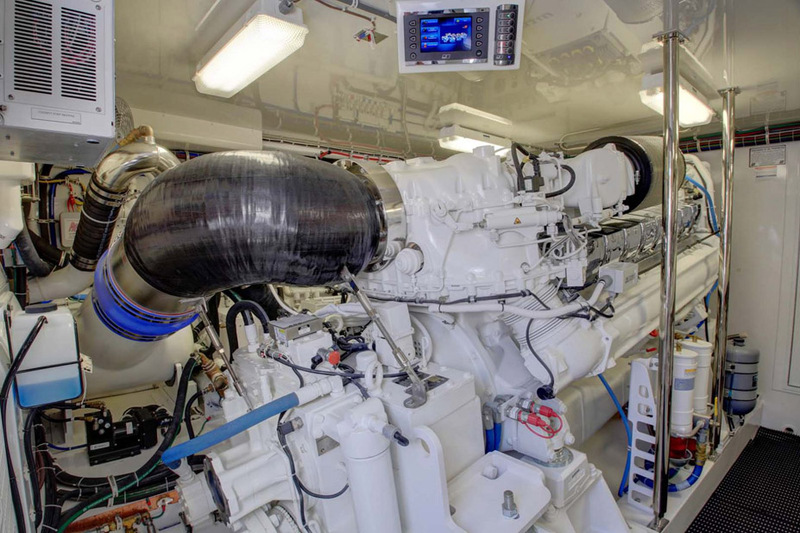 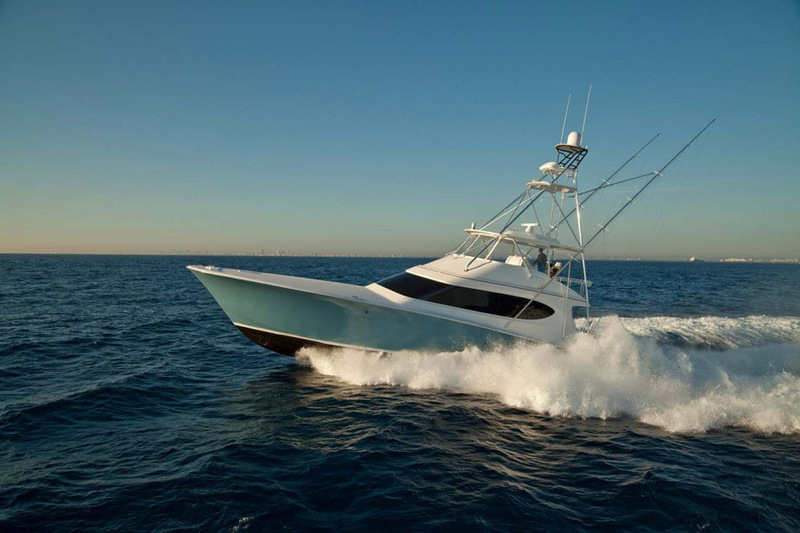 The Hatteras GT70 comes standard with twin Caterpillar C-32A 1926hp diesel engines, but owners can opt for MTU 2600hp’s. 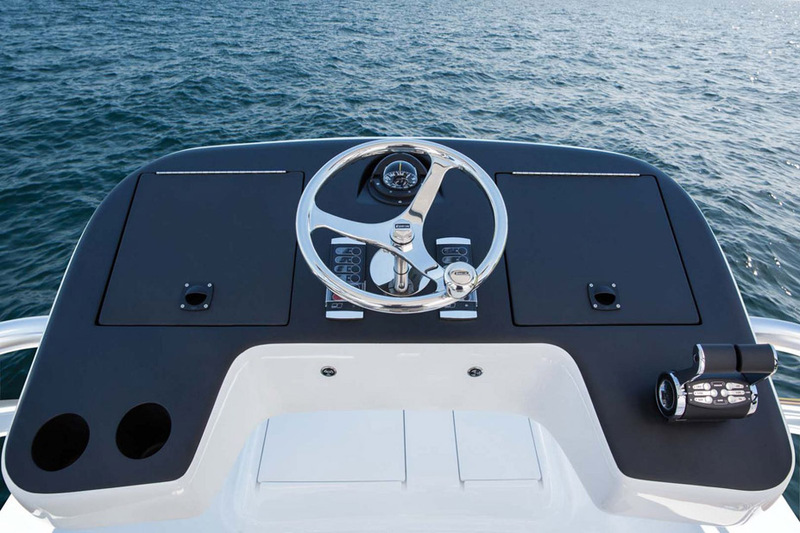 Combined with amazing performance due to the variable deadrise bottom with sharp entry, you can expect top end speeds in excess of 40-knots, even in a 3-foot chop or more. 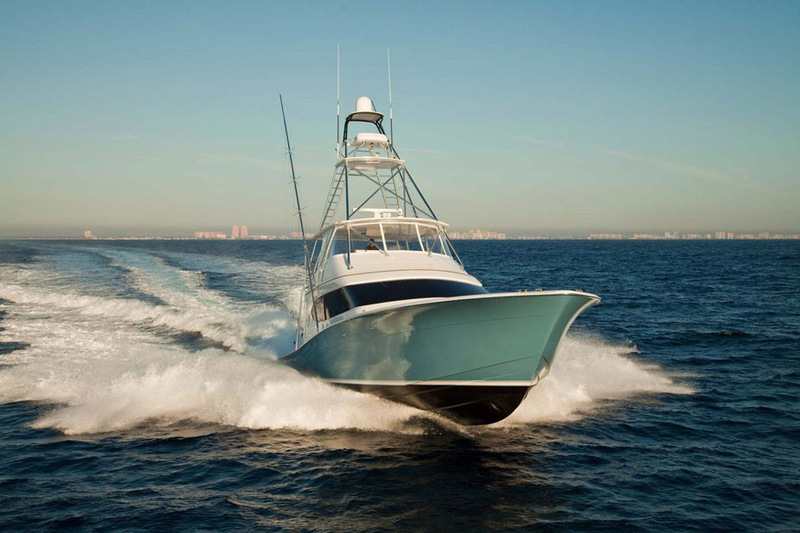 Cruising speed is in the mid-30 knot range and with a fuel capacity of over 2,100 gallons, owners can fish comfortably for extended periods of time while also having the ability to quickly get home. 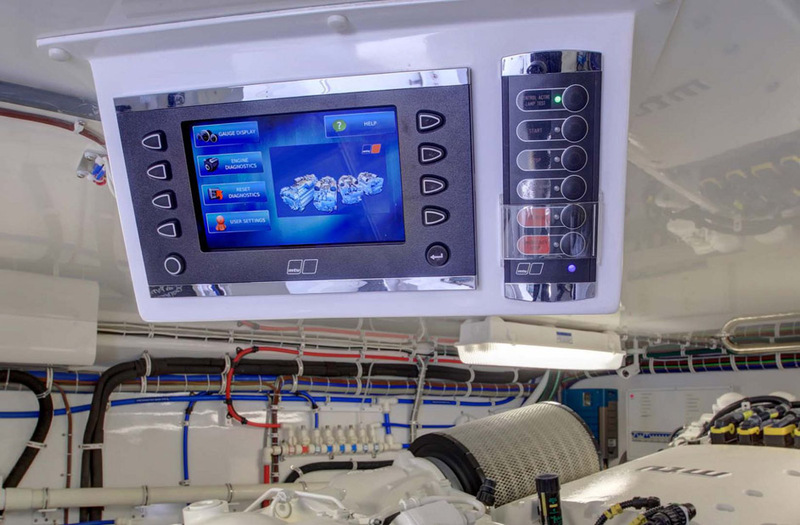 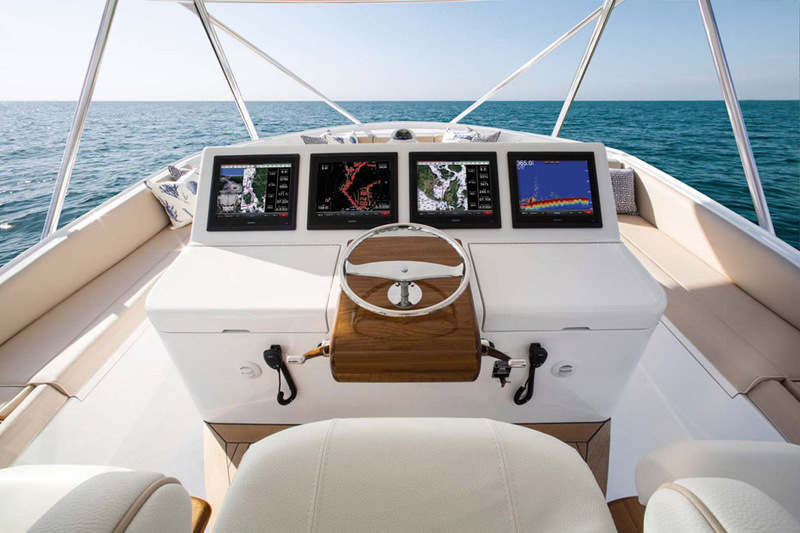 While there are many motor yacht cues inside the salon and staterooms, it’s the fishing-friendly cockpit that has anglers drooling. 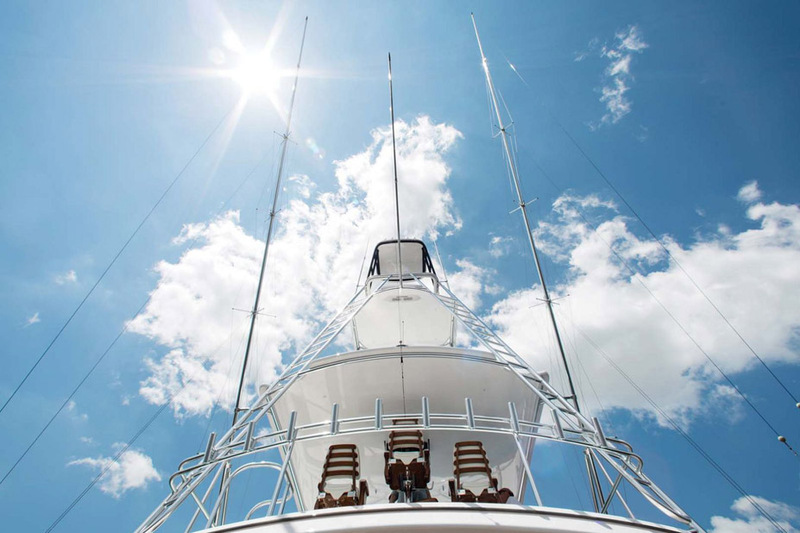 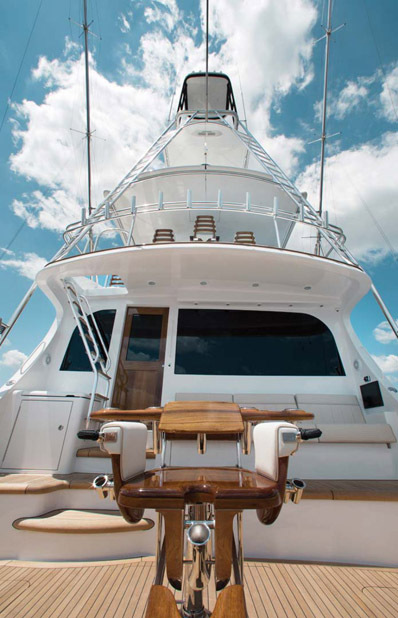 The premium fighting chair is bolted down into the fighting area which measures 136 square feet, plenty of room for a frantic crew to move around during the excitement of a billfish tournament. 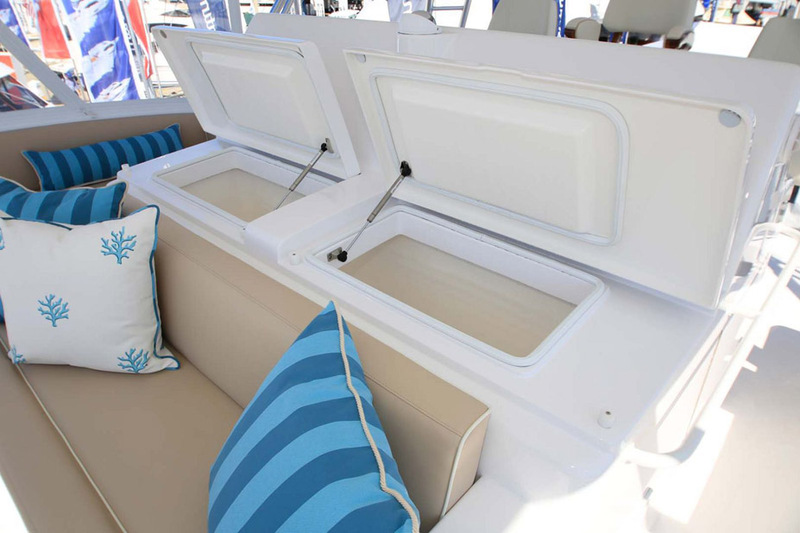 There are rodholders and storage compartments everywhere as well as coolers, removable bait trays, livewell, and Eskimo ice maker. 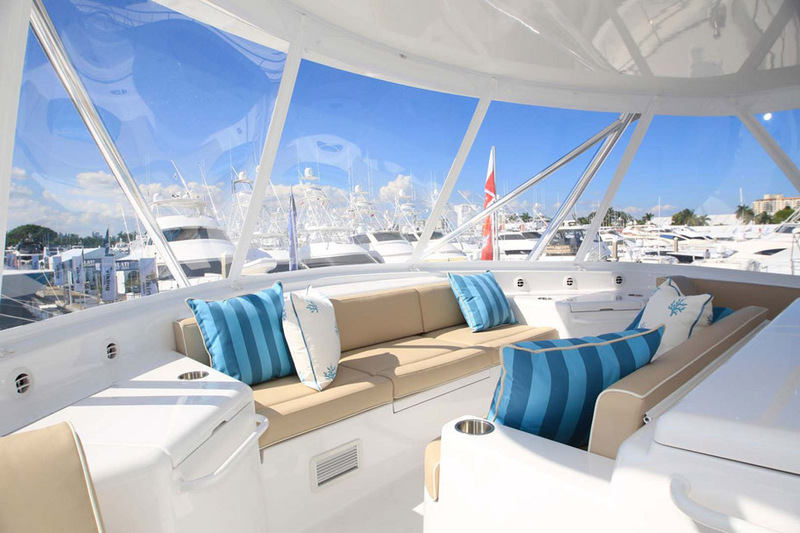 Guests on board will enjoy watching the action from the covered observation mezzanine which features comfortable seating, shade and overhead air-conditioning, and a floating armrest with cup holders. 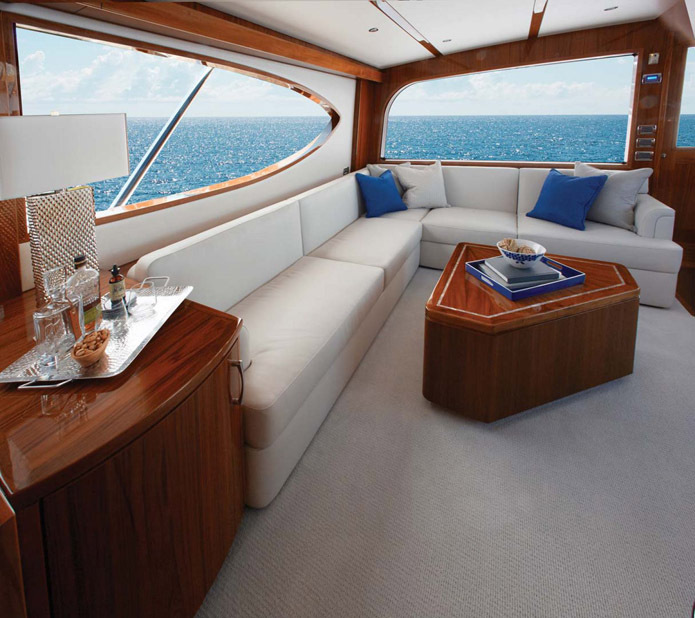 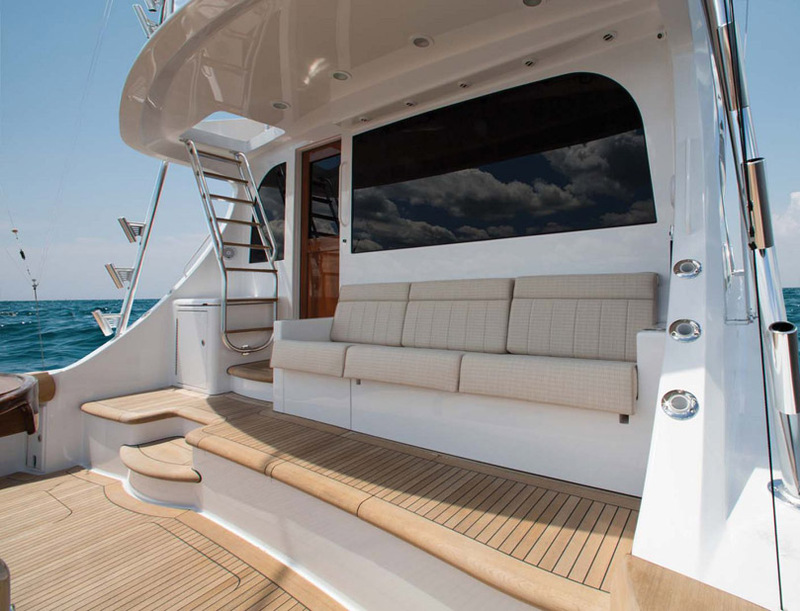 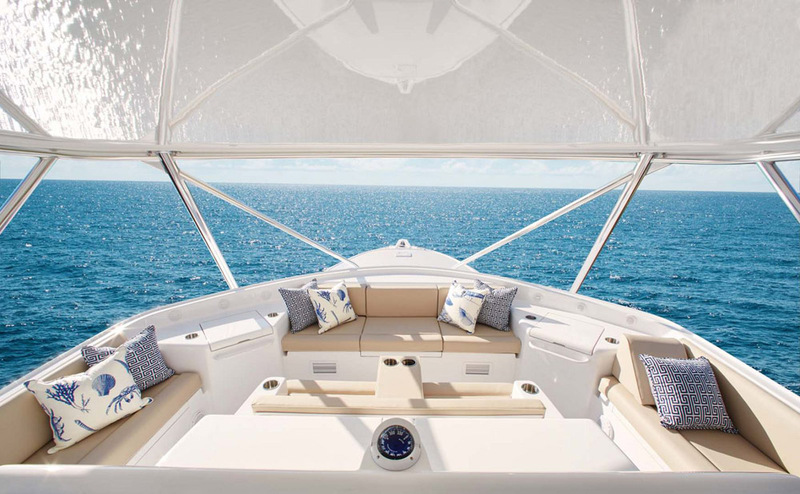 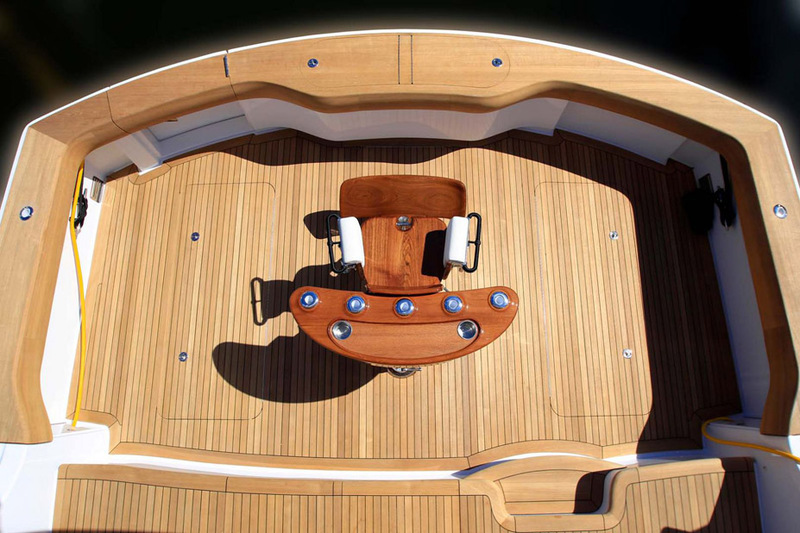 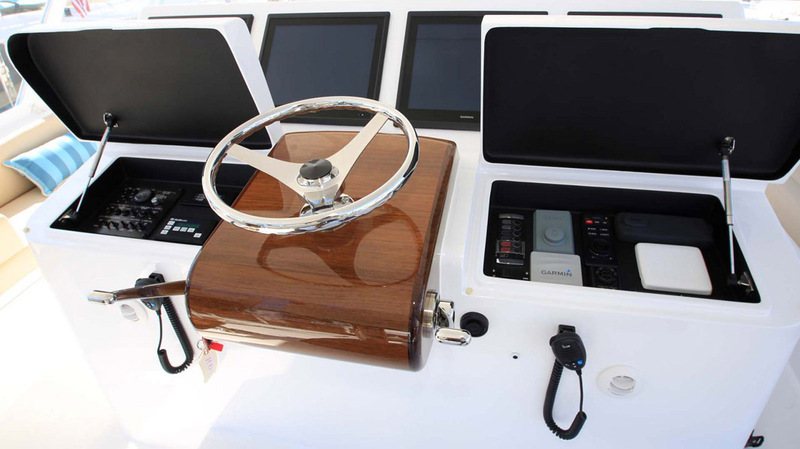 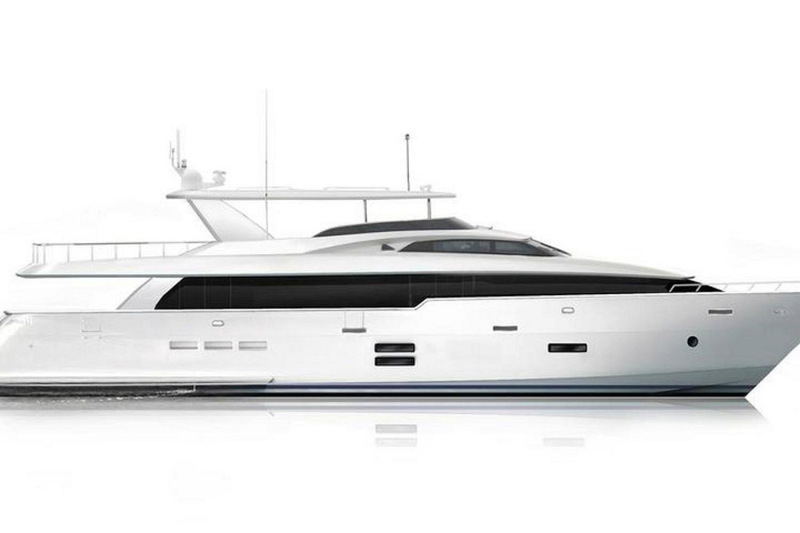 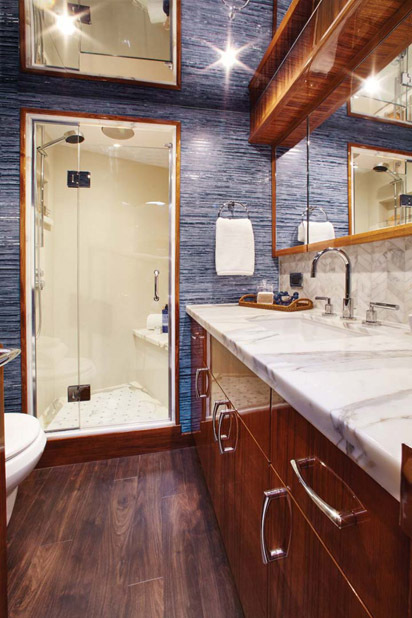 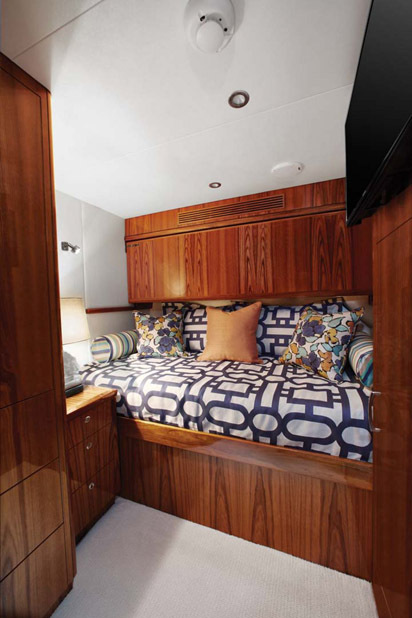 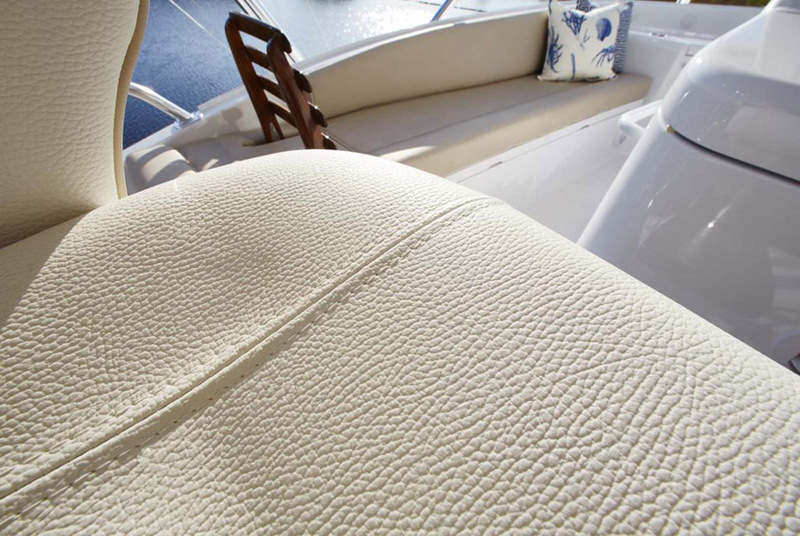 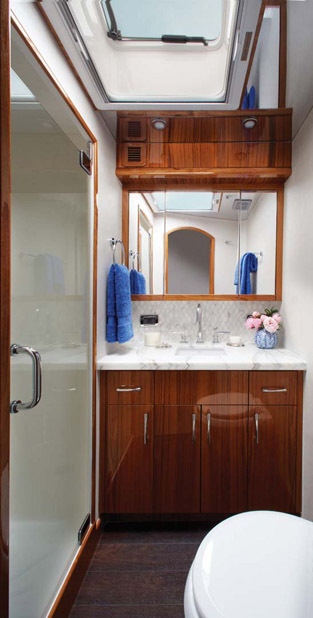 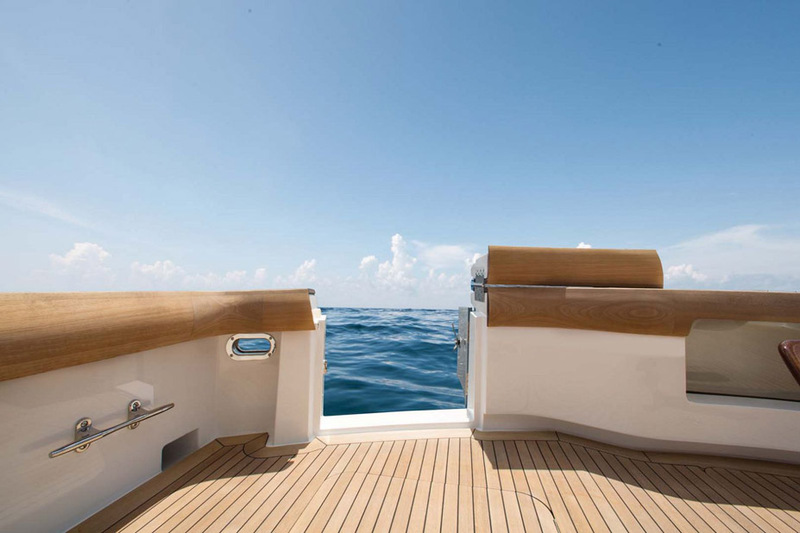 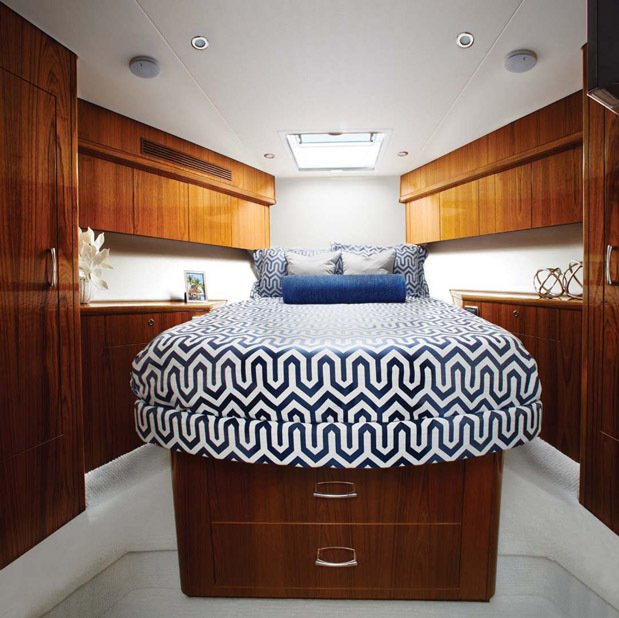 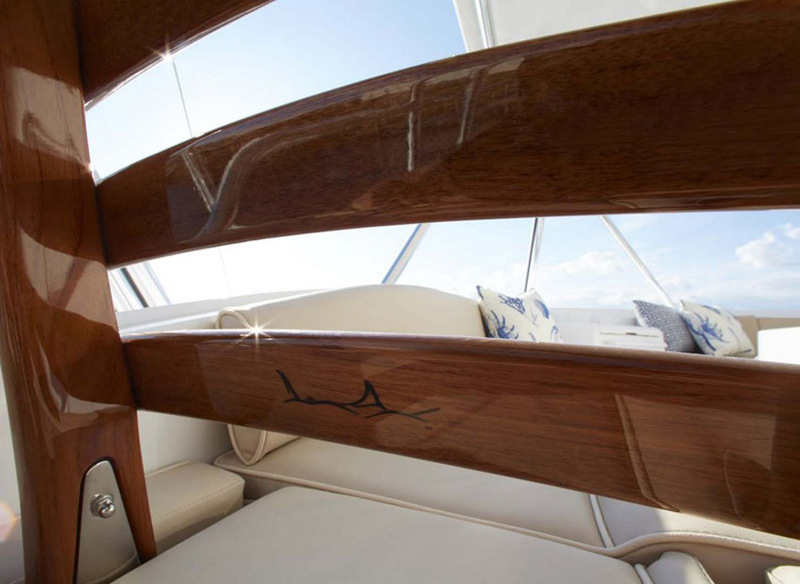 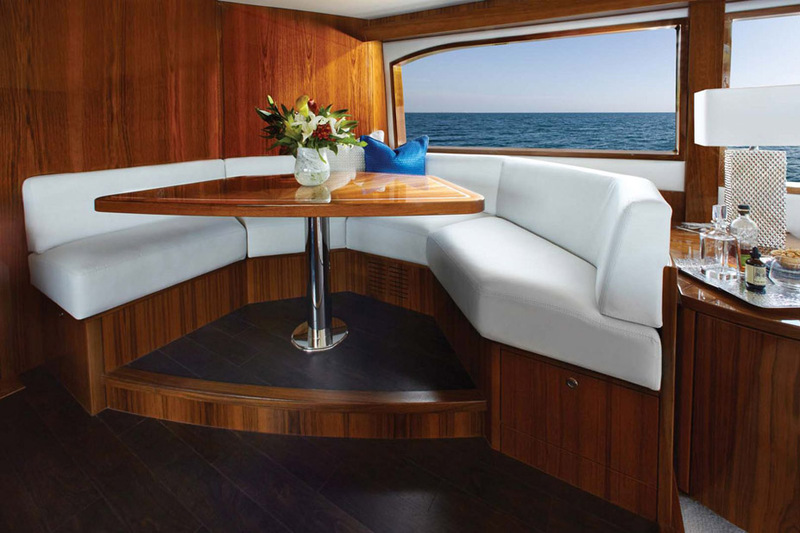 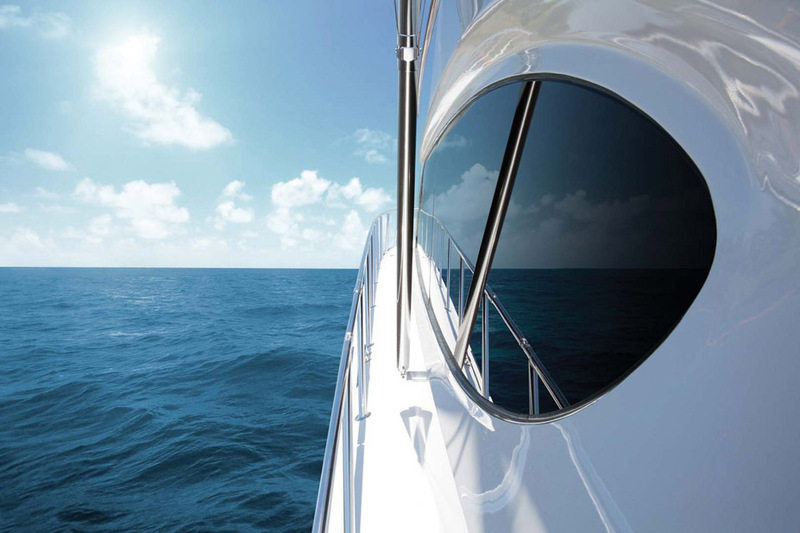 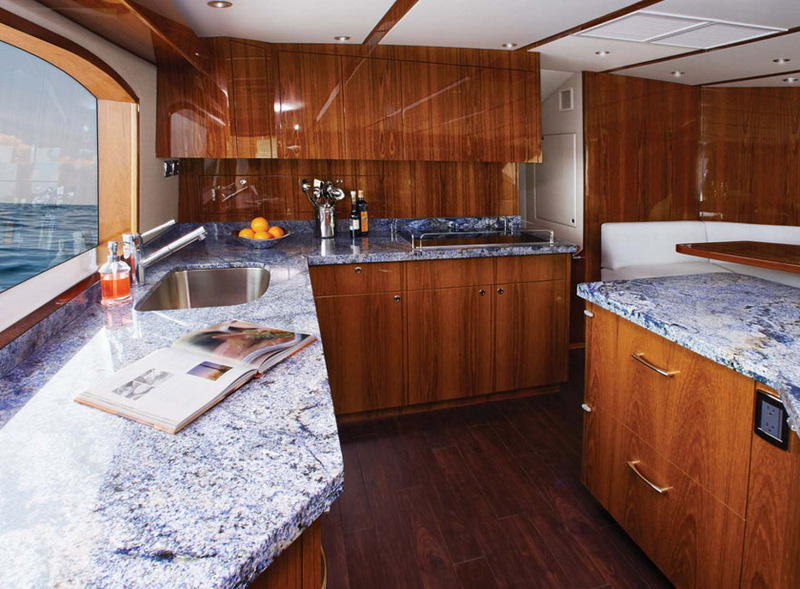 The interior of the Hatteras GT70 is bathed in high-gloss teak, making it look classically rich. 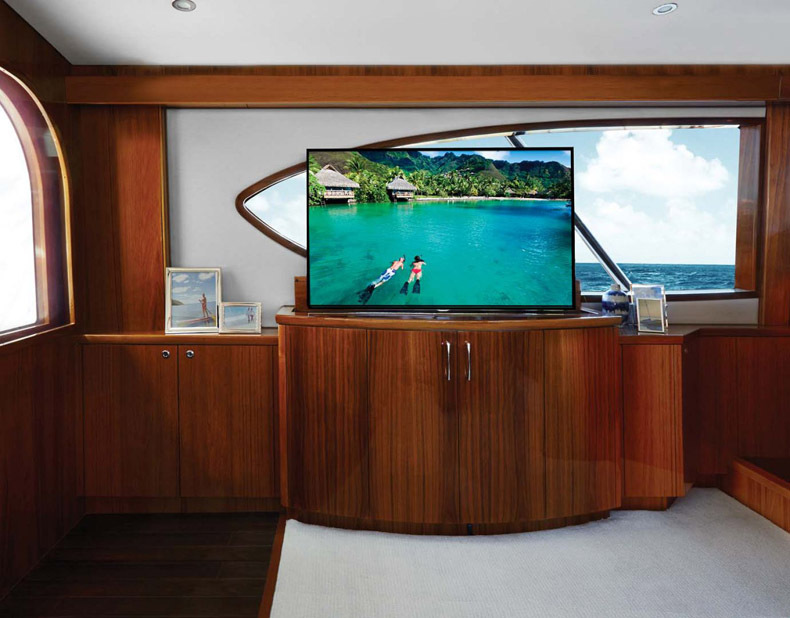 The L-shaped couch and coffee table are positioned in front of the flatscreen television which can become hidden inside the teak cabinet. 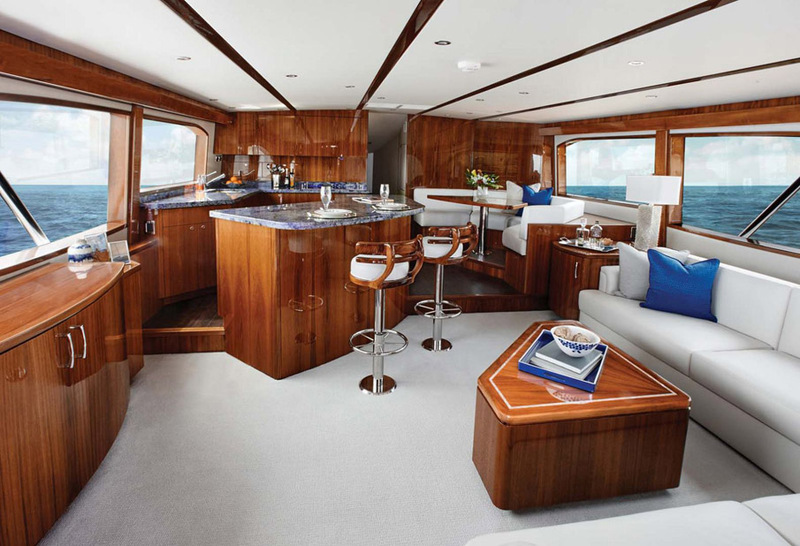 And everyone will love the view from inside through the oversized windows throughout the salon, dining area, and galley. 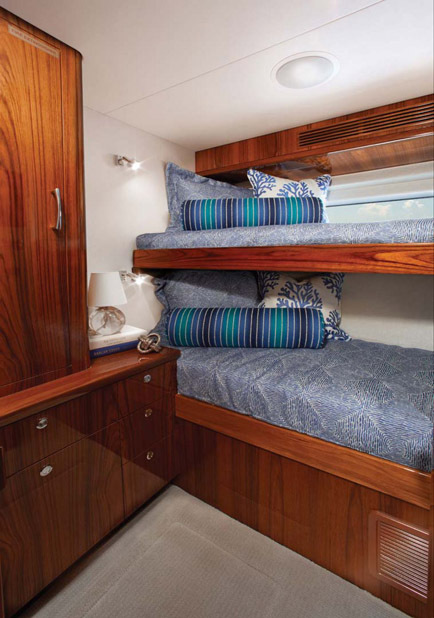 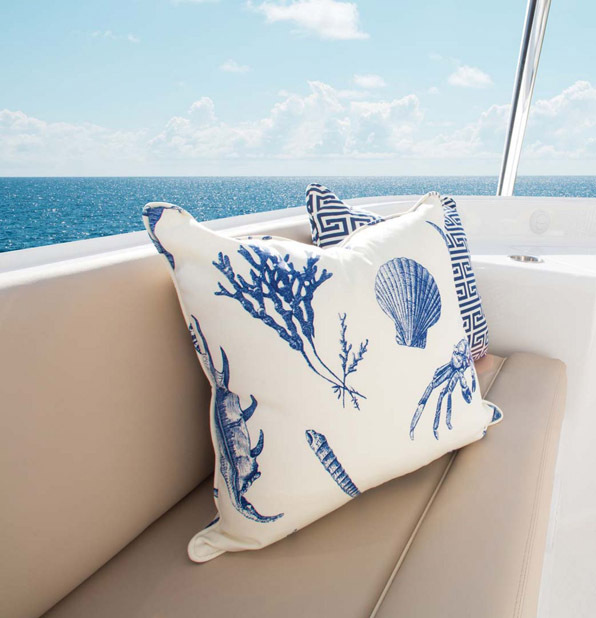 Owners and guests will enjoy the accommodations on the GT70 as its layout sports five-staterooms with four heads, giving everyone on board space and privacy. 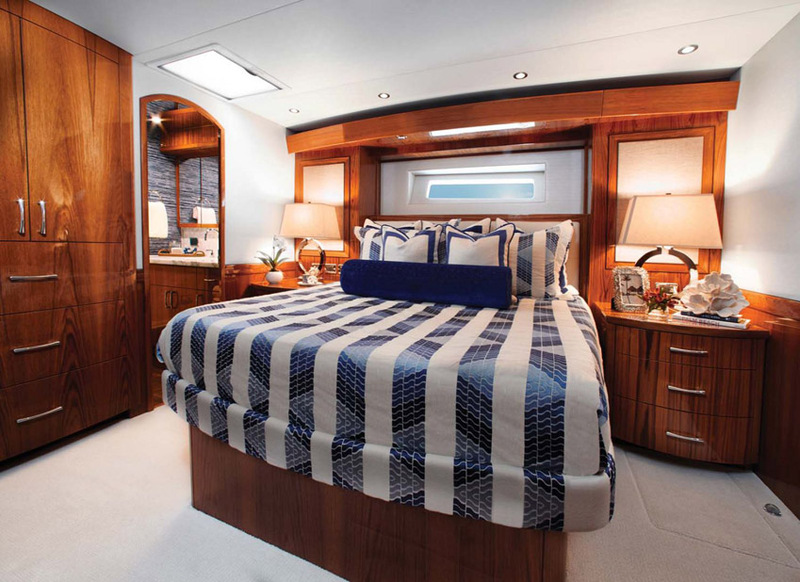 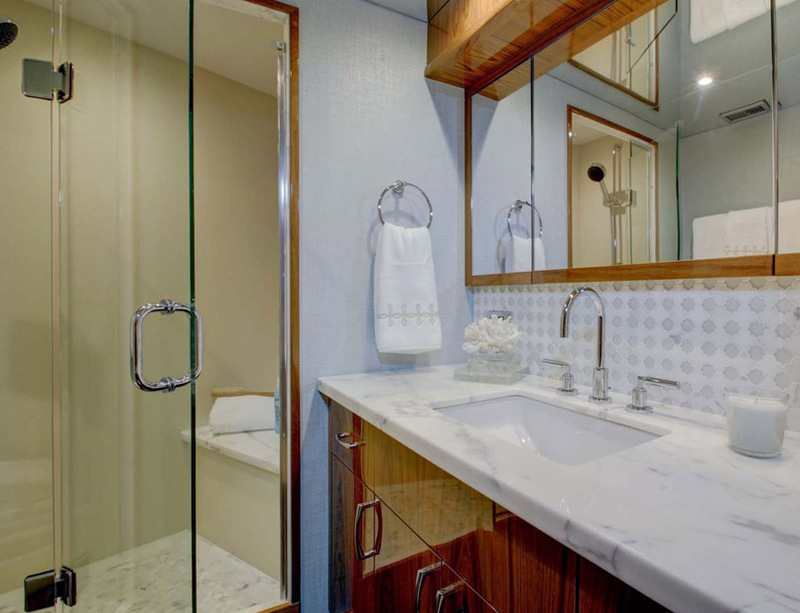 The master suite has a king-sized walk-around berth with an armoire and cedar lined closet for storage and guests will enjoy the spacious VIP suite and additional staterooms. 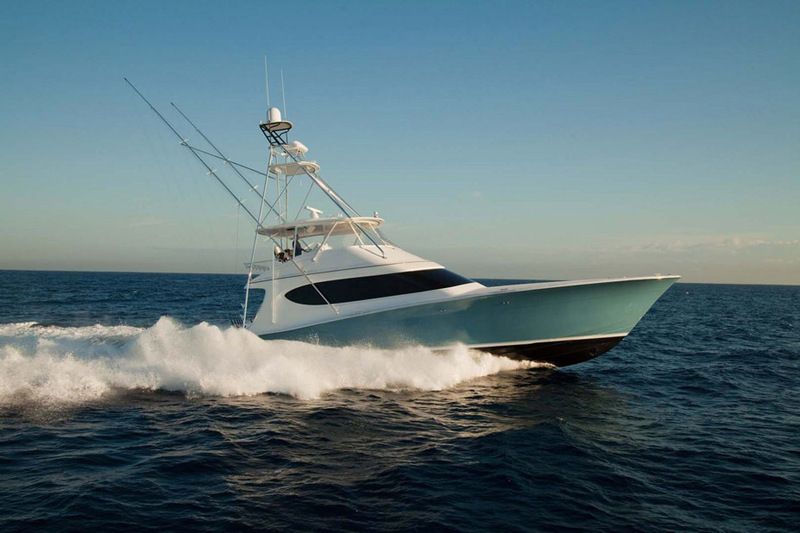 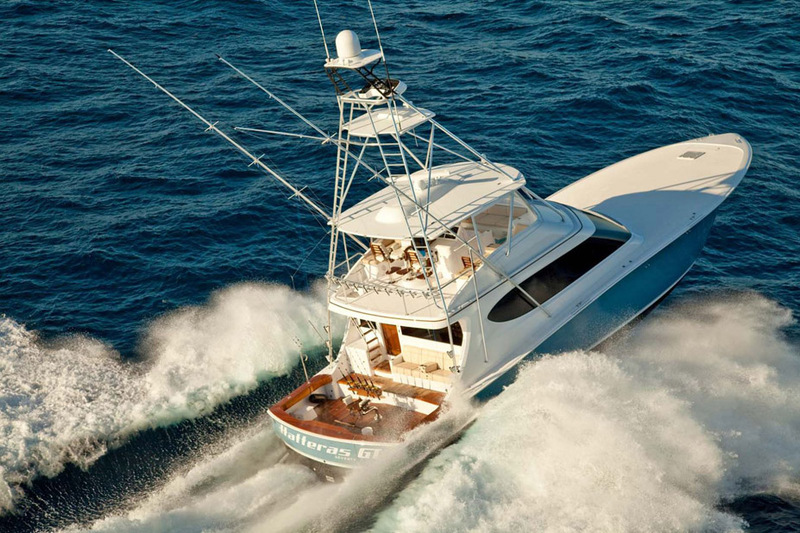 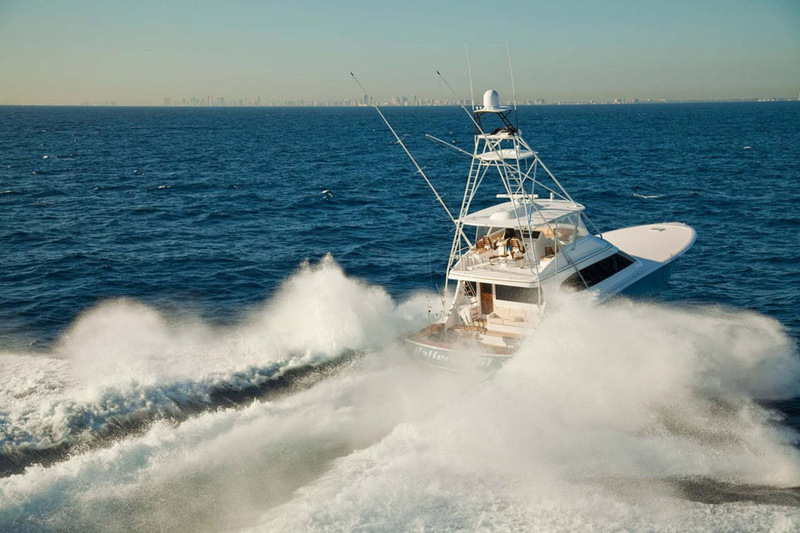 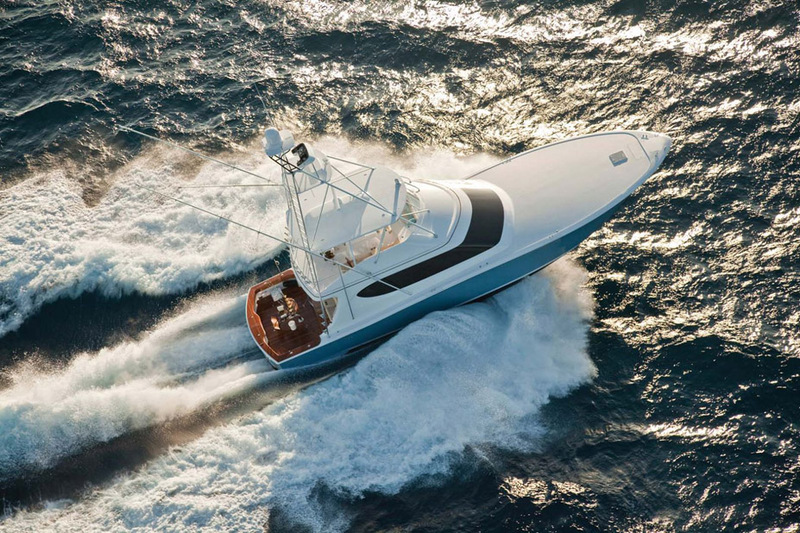 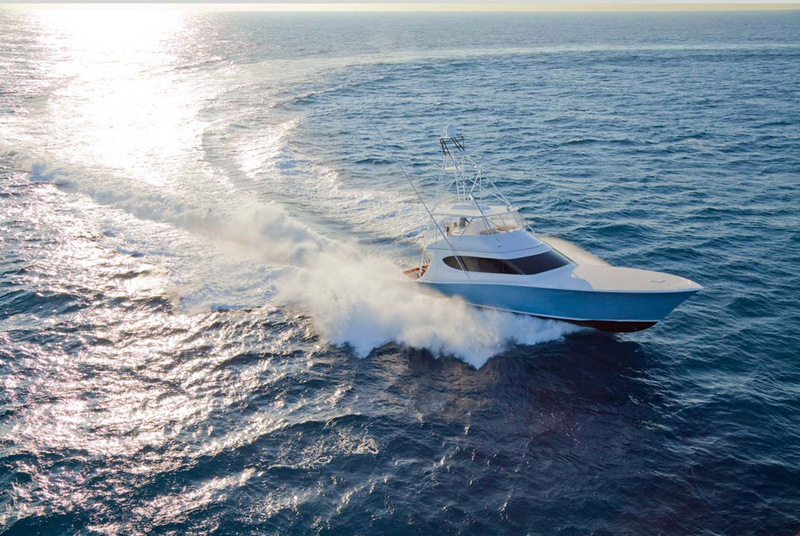 If you are interested in the Hatteras Yachts GT70 convertible sportfish, or the enclosed bridge version, contact your United Yacht Sales representative today for more information.